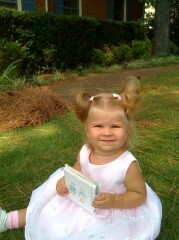 Katie Beth was all dressed up for church so it is great time for pictures. Well, the rain has finally stopped in Huntsville, Alabama so we are heading out for baseball tonight. Last night’s game got rained out, which means we get a double header tonight starting at 5:05PM. Why 5:05 instead of 5:00PM? I don’t know, but the Huntsville Stars have always started games at 5 minute past the hour. It could be due to the games being aired on the radio. Tonight and tomorrow night are the last in town games for this season. We have enjoyed the season with our little Katie Beth, but good things must come to an end. And, our baby needs to stop going to bed around 10:00PM. We hope to win season tickets during tomorrow’s game. They will be drawing from all the tickets turned in throughout the season for a life time pass. And, they will be drawing for four season tickets based on people who donated to a charity. 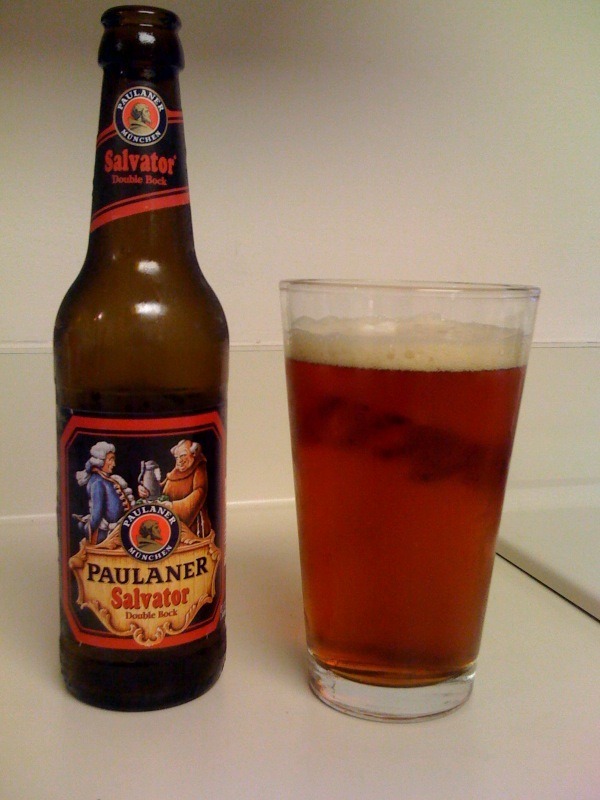 I picked up a number of beers including Paulaner Salvator, which we have had on draft at the Redstone Arsenal Oktoberfest. We loved it. I was looking forward to trying it, again. It was great like I remembered. It was a nice birthday gift to myself. I enjoyed my birthday. We even got to video chat with my niece, Brooke. 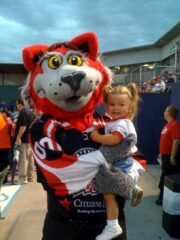 Katie Beth met the mascot of the Huntsville hockey team tonight. She didn’t want to leave the mascot. 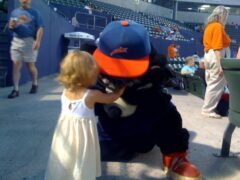 The mascot told be later that Katie Beth made his day, which made me smile. Well, my 42nd birthday is just around the corner and I have learned that they mean less each year. I'm not sure why they mean less but they do. I guess the focus is changing now that I have a baby girl. Or, it is something else. We will be kicking back on the deck with my parents while enjoying a great dinner. 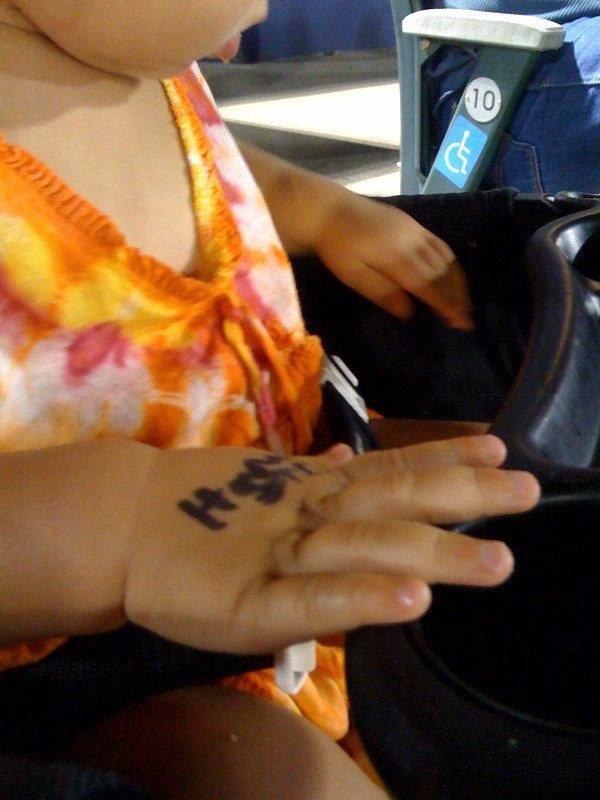 Katie Beth let Homer the mascot of Huntsville Stars autographed her hand. We went to Point Mallard today and we had a great time in the wave pool and water works for children. 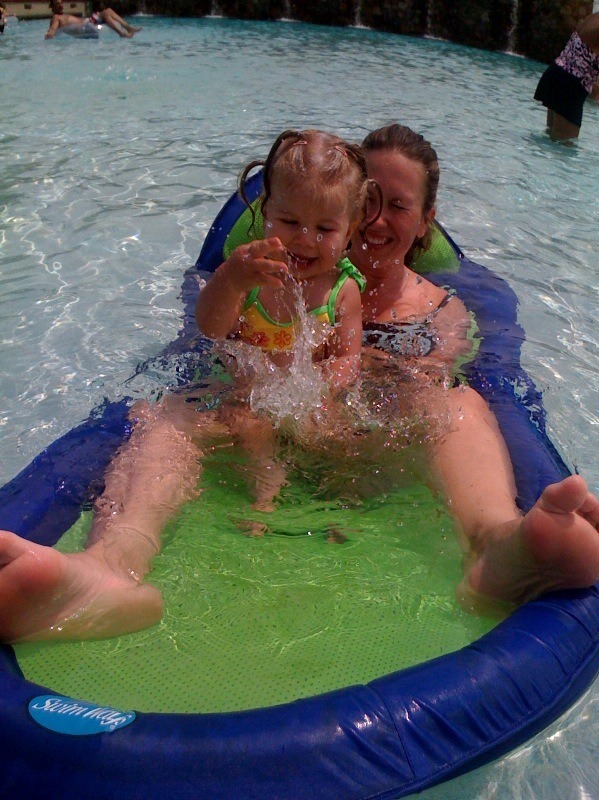 The water in the wave pool was cold, but you got use to it after awhile. As you can see in the picture, Katie Beth was having fun. She enjoyed the river, too. The idea of water, sand, and sticks were like heaven to her. We had to pick her up just to get her to go for lunch. The water works area was enjoyable, but the equipment needs to worked on to improve it. They are playing Peek-A-Boo at baseball game. Karen, Katie Beth, and I are heading to the double header game between the Huntsville Stars and Chattanooga Lookouts. This game is the first of the series and the first match since the brawl that emptied the benches in Chattanooga during the teams last match up.